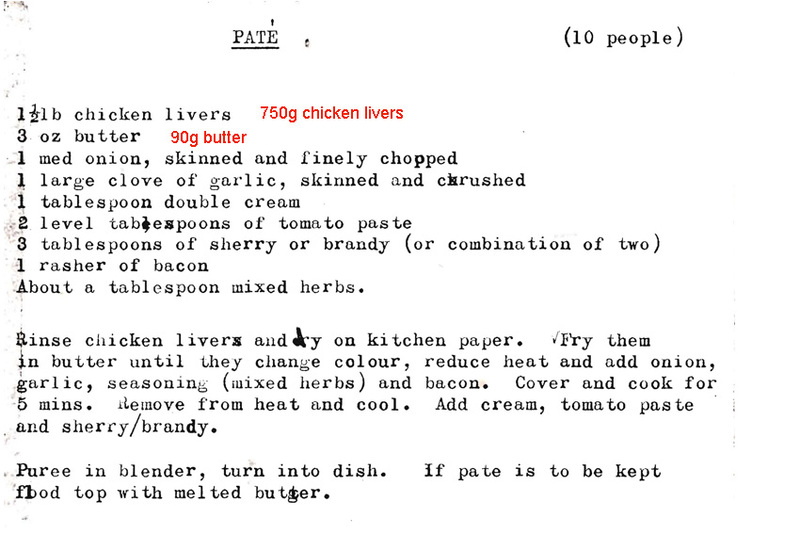 With Mum’s 100th birthday only a couple of months away I’ve started to look for party recipes. 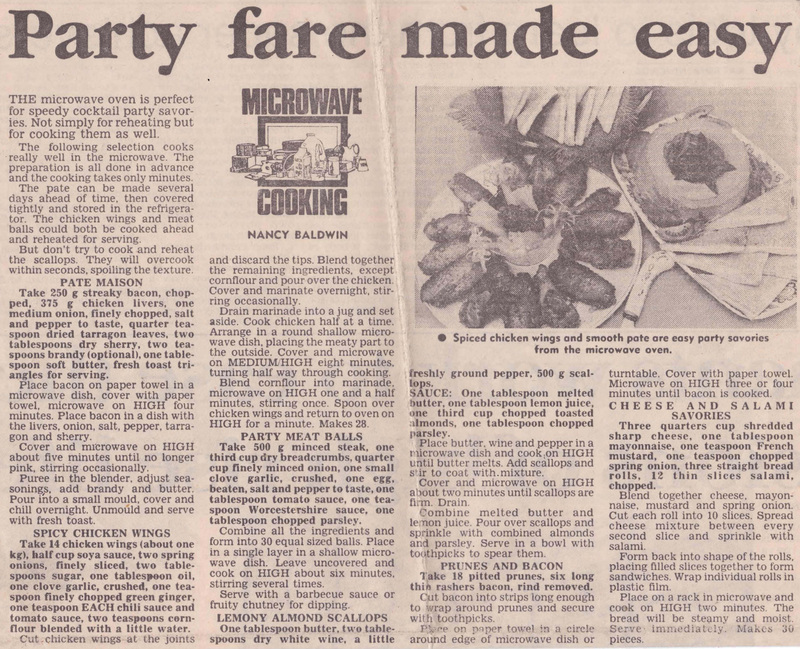 I found these microwave recipes which were published by The Sun in March 1986 around the time everyone was buying a microwave, but still not quite sure what to do with it. I’m not sure I’d use my microwave to cook them today though, as I think we’ve now figured out what works and what doesn’t in it. I love Beef Wellington, but it’s a tricky thing to make so I usually leave it to the experts. 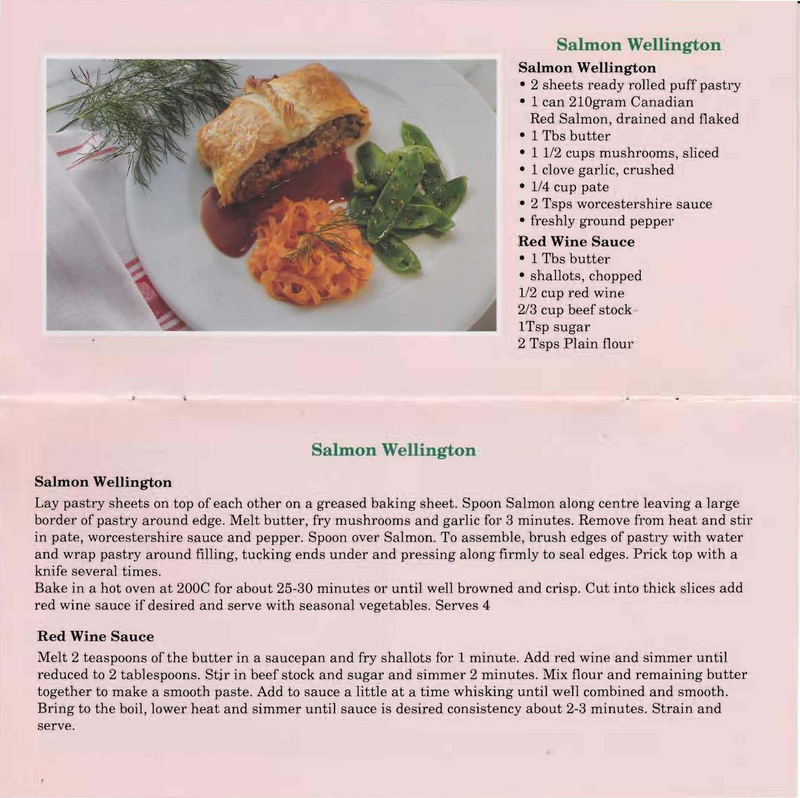 This Salmon Wellington looks a lot easier and although the recipe uses tinned Red Salmon I don’t see why a nice piece of fresh salmon couldn’t be substituted.